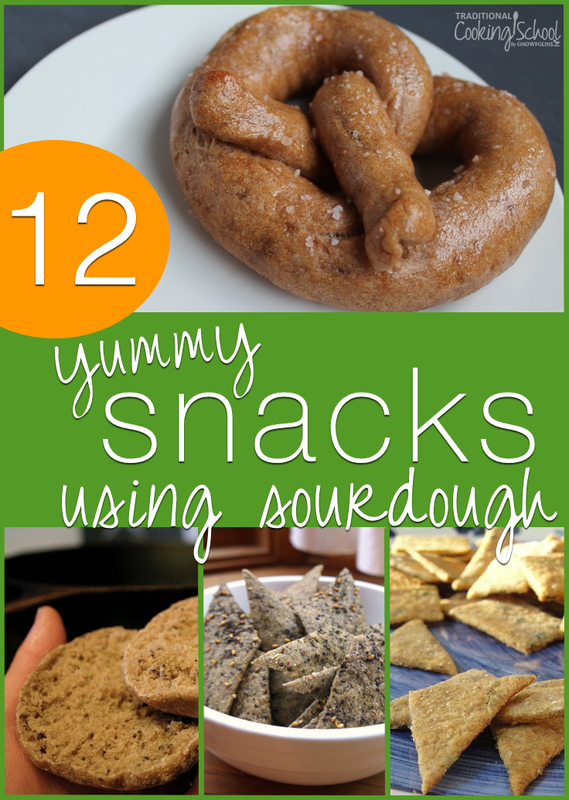 You love sourdough and your family loves snacks. We're putting the 2 together to make you all happy! 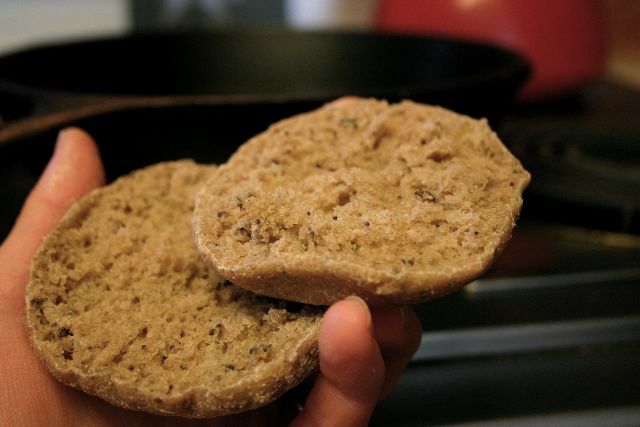 We vetted a whole bunch of sourdough snack recipes on the internet and pulled out the best ones — whole grain and incorporating a full souring of the grain for best nutrition and digestion. Enjoy! If you don't already have a sourdough starter going, get our free instructions here. These crackers are absolutely delightful! Crisp yet tender. Via kitchenstewardship.com. 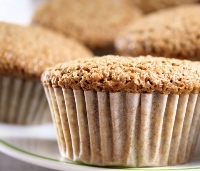 If you are interested in a tasty and nutritious snack with a wonderful flavor, try this sourdough bran muffin. It is packed with low-glycemic bran, and the fermentation process brings out more flavor, with just a hint of tang. Via culturesforhealth.com. These are the best tortilla chips. Ever. Wait until you discover the secret to these tasty treats. Via TraditionalCookingSchool.com. Gluten and dairy free! 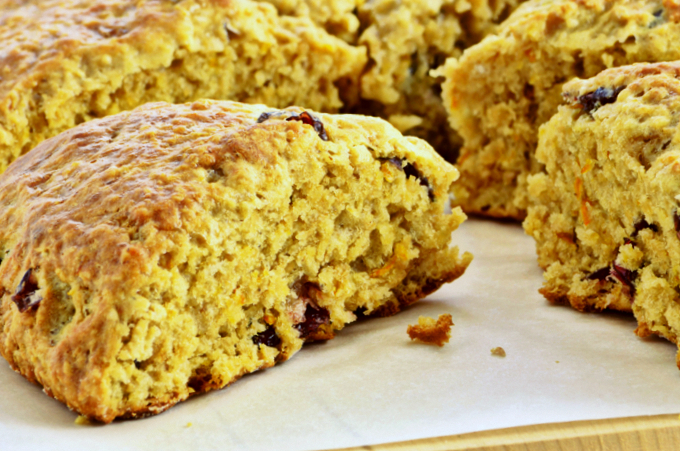 These scones become more sturdy as they cool making them a great make ahead snack. Or absolutely delicious still warm from the oven. This recipe can be adapted in many ways with flavorings like raisin-cinnamon or blueberry-lemon, so bake on! Via culturesforhealth.com. Sourdough, bacon fat, rosemary… what's not to love? Via culturesforhealth.com. Not just for breakfast! These tasty treats can be made ahead (they keep up to a week or freeze for longer) for a quick and nutritious snack anytime. Via TraditionalCookingSchool.com. 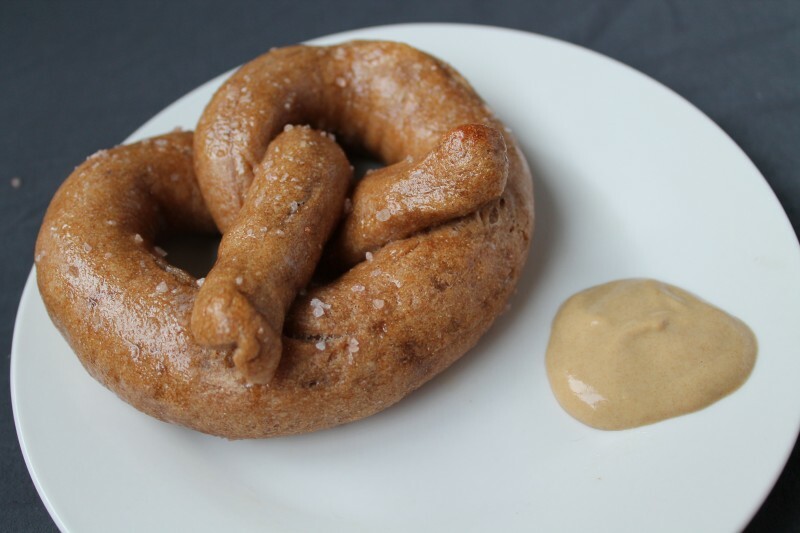 Giant soft pretzels with a chewy crust and that wonderful sourdough tang. Via healyeatsreal.com. Oh, the joy that comes with bringing our dear ones delicious and nutritious treats! And on top of all this goodness, the recipe is highly adaptable. Via TraditionalCookingSchool.com. 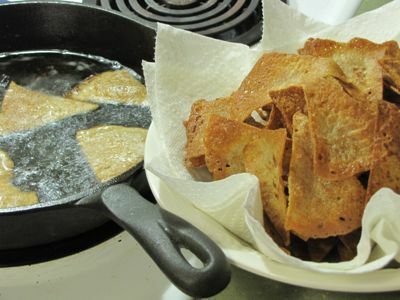 If you love the subtle, sour taste of sourdough bread, then you’re going to love these crackers too. 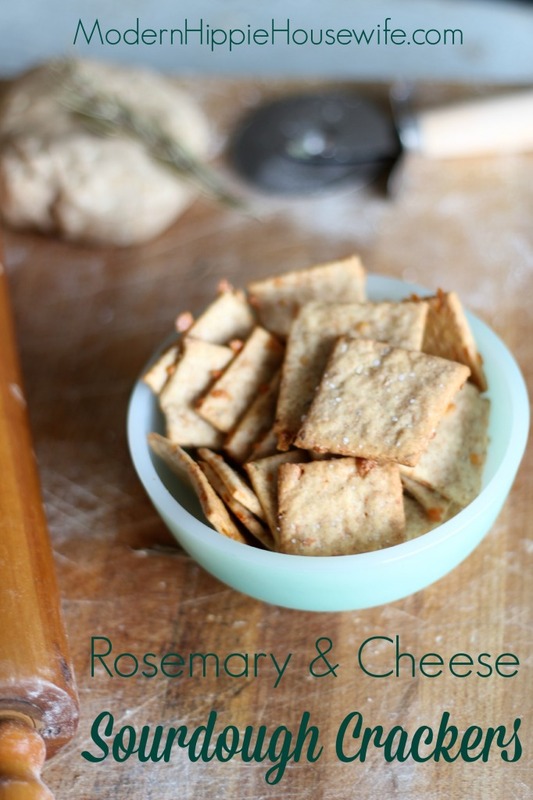 Adding rosemary, sharp cheddar and homemade garlic and onion powder to the mix certainly doesn’t hurt the flavor either. Via modernhippiehousewife.com. 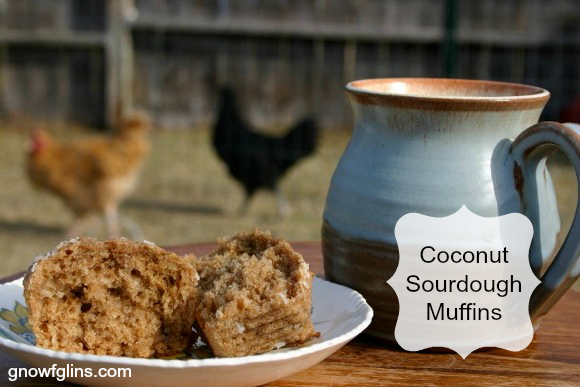 These sourdough muffins are slightly sweetened with honey and have just a bit of tang from a long fermentation period. Feel free to mix in whatever you like: raisins, nuts, shredded cheese, or even chocolate chips. Via culturesforhealth.com. Delicious on its own or served with butter, homemade jam, or even a slice of cheese. 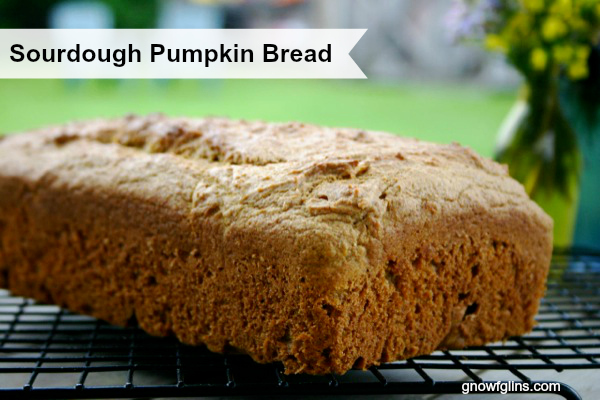 You'll love this tasty and nourishing pumpkin treat! Via TraditionalCookingSchool.com. Zayt-and-za'atar – they just belong together. Dipping fresh bread into olive oil, and then into a bowl of za'atar — Delicious! 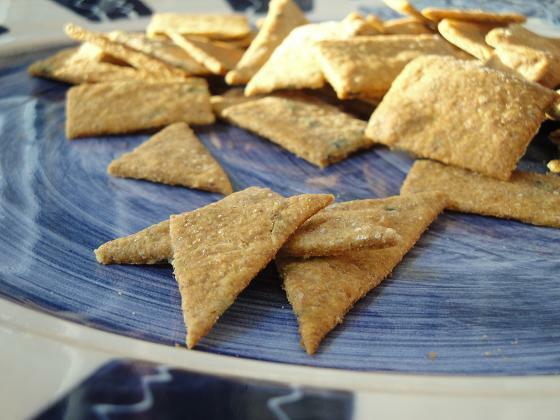 Why not make a cracker that does it for you? 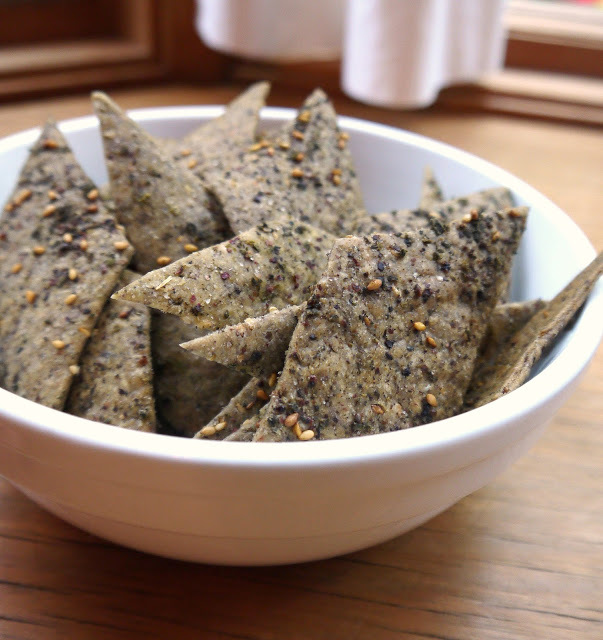 Zayt-and-za'atar crackers! Via bintrhodaskitchen.blogspot.com. Enjoy! Which ones are your favorite?